Positive Thinking empowers and strengthens your resolve to create and live your ideal life! Start thinking positive today and enjoy a better tomorrow! This is not just my opinion or some theory, the human mind is an amazing and powerful tool and the best part is that you have access to this magnificent tool every minute of everyday. Our life is determined by the choices we make and knowing that you have the power to choose a positive attitude over a negative one you have to see that you do have the control to make your life as happy and fulfilled as you would like it to be. Maintaining a Positive Attitude is by far one of the most powerful means of controlling the circumstances and the outcomes in your life. When you feel positive and optimistic you begin to see and realize all the favorable opportunities just waiting for you to grab hold of and to achieve all you that were meant to achieve in this life. The only limit to the level of success and happiness one can have in their life are the limits they place on themselves. Isn’t it time for you to stop limiting yourself and to start going after anything and everything you have ever wanted from your life? Taking total control over the thoughts that go on inside your head can help you to live the life that you may have only dreamed of, so instead of just dreaming about it you should get busy living it. You do possess the power to turn your thoughts into your reality, and for as long as you believe you have that power you will have it. Positive thinking is powerful and at the same time it is a choice, it’s a choice you get to make every second of every day and if you choose to live with a positive attitude I promise, you will open doors to opportunities that can change the entire course of your life. Positive Thinking For Personal Success! Your entire life is controlled by the thoughts that carry on inside your mind. Every action you take is based on what you are thinking if you find yourself in a distraught, unhappy mood you hold the power to change your situation completely. Negative thinking holds the power to destroy your life and all your ambitions. A Positive attitude on the other hand can literally change your entire life. When you look upon life in a positive nature you are bound to find the good in every situation. You determine your thoughts so ultimately you determine your life and all of its outcomes. By asserting total control over your thoughts you are taking control of your life. Positive thinking shines a light on life so bright that it draws happy positive people to you like flies are drawn to light. Maintaining a strong optimistic attitude is a common motivational method used to boost one’s attitude and promote self growth. Creating a positive attitude allows you to experience a new and wonderful day each and every morning. When you focus your mind on the good things in life you will have the strength of character to move forward despite any challenges you may face. I believe we are meant to continually move forward and focus on life as an incredible abundance of opportunity. You were absolutely right! There is so much more to life and with the right attitude it is not hard to find. When you develop your attitude on the basis of positive thinking you will begin to experience all the great things life has to offer. A positive expectant attitude will draw many favorable events and circumstances into your life. The changes you could experience in your life would be everlasting, that is if you continue to expect and believe that you deserve the best out of life. Don’t cheat yourself out of the pleasures that you deserve, you have the control to affect the events that surround you and you can do this all with a positive attitude. Your Attitude Really Is Everything and Jeff Keller Teaches you why in his outstanding book Attitude Is Everything! This is a “success manual” that gives readers a step by step plan for taking control of their lives and unleashing their incredible potential. Attitude Is Everything consists of 12 Lessons: Your Attitude is Your Window to the World; You’re A Human Magnet; Picture Your Way to Success; Make a Commitment and You’ll Move Mountains; Your Attitude Is Everything! Positive Thinking is a necessary tool in the improvement of your entire life but it can be even more amazing when it is coupled with the power of your mind to visualize positive events and circumstances. Positive thinking and the power of visualization are the two master keys to success. The power that visualization can have over the achievement of your goals is unmatched by any other force. When you are making a conscious effort to better your life and improve your personal development there is no stronger tool than the use of positive thinking and visualization. When you decide to live your life based upon these positive beliefs you will experience completely new outcomes in your daily living. Sometimes it takes some real effort to maintain a positive mental attitude and one sure way of keeping yourself and your thoughts on track is to take control of your inner dialogue. 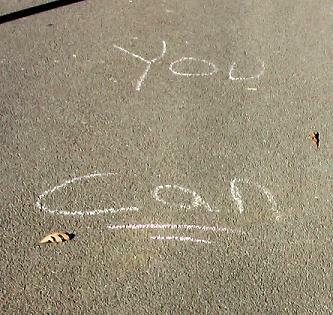 Positive thinking can be strengthened through the use of positive affirmations. When you repeatedly fill your mind with positive affirmations you will undoubtedly see some wonderful outcomes in your life. You have the power to manifest the outcomes of your daily life when you continually affirm what you desire with passion. Understanding Positive Thinking and Self-Talk! Self-talk is the endless stream of thoughts that run through your head every day. These automatic thoughts can be positive or negative. If you make yourself aware of the self-talk going on in your mind you can direct it towards positive constructive thinking. However, there will be those times when your inner voice takes over and all logic and good reasoning skills are gone. A person that may be described as a pessimist is most likely tormented with negative self-talk and one who is described as an optimist has control over their thoughts and they focus their self-talk on positive, exciting aspects of our daily lives. Positive Thinking Can Help You Live Longer and Live Happier! Researchers continue to explore the effects of positive thinking and optimism on people’s health. It’s unclear why people who engage in optimistic and positive thinking experience these health benefits. But one theory is that having a terrific outlook enables you to cope better with stressful situations, which reduces the harmful health effects of stress on your body. Take a quantum leap toward leading a healthier, happier, and more fulfilled life, believe in yourself and your abilities and watch your creativity shine. Positive Thinking Is NOT Wishful Thinking Positive Thinking Requires Action! There are so many obstacles we all must face on a daily basis, yet you see some people handle them with such ease and others just seem to fall apart. Well this all goes back to how well you control your thoughts. Those who have a strong hold on the thoughts they allow into their mind and they base their life on the grounds of positive thinking will certainly be able to handle life’s challenges with much more ease. Those who chose to allow their mind and thoughts to be dictated by the events around them will surely have a more difficult time in life. The very act of saying you are taking back your mind and that you will only focus on positive thinking, will change the outcomes of every event in your life. How often is it that you here someone complaining about their career, the job of their choice, it has to be their choice as no one holds the power to make you do anything against your will. If you despise or worse yet “Hate Your Current Job” learn how easily you can turn things around with the power of positive thinking. You have the free will to change your thoughts and by changing your thoughts you can change your outer world as well. However it is not just a better job or more money, when you chose to focus your mind on positive outcomes you empower yourself in every area of your life. The strength of a positive mental attitude is tremendous, take a moment to read some more on the effects of positive thinking. Positive Thinking Improves Every Aspect of Life! Living a life filled with positive thinking and that can-do attitude yields many rewards. For one you are just more naturally at ease you believe in favorable outcomes, you are not looking for the worst to happen. Maintaining a strong positive control over your thoughts will improve your life in every way imaginable. 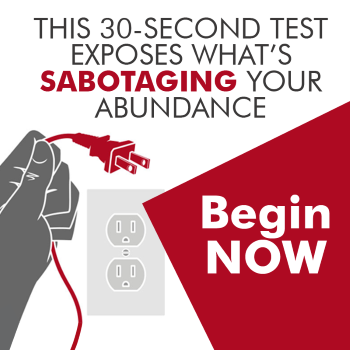 But it is very possible for you to sabotage the outcomes of certain events in your life. If you are not vigilant in your efforts to maintain a positive attitude you can be your own worst enemy. Attitudes are the established ways of responding to people and situations that we have learned based on the beliefs, values and assumptions we hold. Our attitudes are shown through our behavior. When you fill your mind with positive thinking you will without effort maintain a positive attitude. Attitudes drive our behavior. Our body language is a result of our mental attitude. By choosing our attitude we get in that mood and send out a message that everyone understands, consciously or unconsciously. An attitude of positive thinking is indispensable to our success. We can be as optimistic as we want to be if we will simply think about the future, focus on the positive and look for the good. If you do what other successful people do, if you use your mind to exert mental control over the situation, you will be positive and cheerful most of the time. And you will reap the benefits enjoyed by all successful people. Successful people know the importance of positive thinking, they are successful because they work hard and they expect the best. A person with a negative attitude will not achieve the success in life that a person with a positive attitude will. Positive Thinking And Its Positive Effects Are Not Just A Theory They Are Facts! Positive thinking is contagious. People around you pick up on your mental moods and are affected accordingly. Think about happiness, good health and success, and you will cause people to like you and desire to help you, because they enjoy the vibrations that a positive mind emits. In order to make this type of thinking yield results, you need to develop a positive attitude toward life, expect a successful outcome of whatever you do, but also take any necessary actions to insure your success. An effective optimistic attitude that brings results is much more than just repeating a few positive words, or telling yourself that everything is going to be alright. It has to be your predominant mental attitude. It is not enough to think positively for a few moments, and then let fears and lack of belief enter your mind. Some effort and inner work are necessary. When you develop a pattern of continual optimism the changes in your life will be so tremendous and you will be exceedingly happy. Make the decision to take control of your thoughts, develop the pattern of positive thinking and reap the benefits of living an empowered life. Thank you Preksha! Go on a 21 day diet of Positive Thinking, keep note of how you are feeling throughout the day and every time you catch yourself with a negative thought … Change It! Do this for 21 days straight and it will soon become a habit and you will enjoy living a more positive life! I love comments like your’s Robert. well,yes positive thinking and being optimistic is really very important for us!! Almost all the time i’am filled with negative thinking and even feel so lonely when there many people around me too!! I guess i should and must improve my life by thinking positively in my dailt routine!! this has very much helped me!! Thank you Tyra, I really appreciate the comment. I was blown away upon reading this post. Very powerful. I believe that thinking positively will help one’s life better and everything around you will follow. A very influential feeling with lots of emotional impact, the feel of happiness and the power to overcome stress and other problems. and if we keep on having this mindset, we will become more productive and more successful in life. This is worth sharing. I had a great time reading this. Thanks!